In November I decide to book a quick 4 day last minute trip to London. I decided to go less than 1 week in advance, so I booked everything the same day. The cheapest flight I could find was on America Airlines so I booked through them. 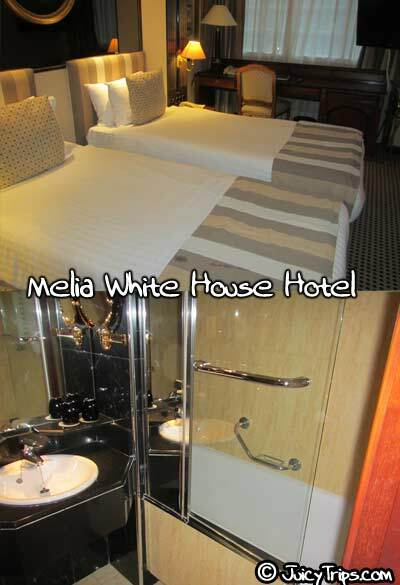 Then I went on Hotels.com and chose Melia White House Hotel. I chose this hotel because it was 4 stars , had good reviews, and was extremely close to a subway terminal. I decided to use tour guides for most of this trip. So, I went on Viator and booked 3 day trips on it. So, Day 1 we arrive in London about 9AM in the morning. Flight was good, no troubles. From the airport we took the Heathrow Express, because it is by far the fastest way. A taxi would have took us about a hour and 20 minutes to get to the Hotel. Heathrow Express takes 15 minutes to get to London Paddington station which was just a couple subway stops from out Hotel. Note that train tickets in London are very expensive compared to any USA train. Even subway tickets in London are expensive. So, we get to the Melia White House Hotel, but we came to early and they said Check-in time was at 2pm. Usually I get lucky and the hotel has a room ready early, but not that day. We even came back a few hours later and the room still wasn’t ready. We really did have to wait until 2pm that day. That was the only bad experience we had at that hotel. Everything else about it was great. Very clean and nice all around. 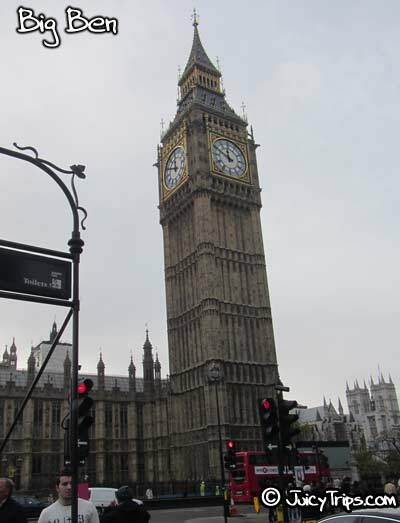 Anyway so the first day there, we just left the bags in the Hotel and walked to the main sites like the London Eye, Big Ben, Buckingham Palace (inside is closed to the public most months). Then we went shopping at Camden Town. When we first got to Camden Town it looked like it was just a Heavy Metal and Punk shopping place, but this place ended up being my favorite shopping place anywhere in the world. This town had a ton of little side streets all with different merchandise. Unlike outdoor markets in the US that will have a hundred cell phone accessory stores and T-Shirt stores with exactly the same merchandise. Camden Town has thousands of tiny shops all with different merchandise. I recommend this place highly. That night we ate at Demartino Italian restaurant in London. I had a Scallop Risotto. It was very good, but not sure if it was worth the price. I don’t think any food in London is worth the price. The next day we had to get our own ride to the train station for the first trip we booked on Viator. We booked the “Luxury Paris Day Trip with Champagne Lunch on the Eiffel Tower“. I haven’t been to Paris in over 10 years. Didn’t like it back then, so I had low expectations. I’m glad I had low expectations, because I still don’t like this city. The tour started out with some famous landmark that they just told you about them as they drove by. I didn’t mind that they didn’t let us off the bus for photos, but other people did. Then we did a cruise along the River Seine. It was very cold out, but I wouldn’t have liked it in good weather either. You are supposed to listen to recorded tour guide on a phone attached to every seat. It was a sad boat and a sad tour. 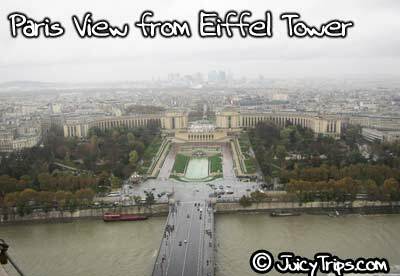 After that they took us to lunch in the Eiffel Tower. The food was just okay, but talking to other tourist in your group is fun. After lunch we went to the Louvre. Where you can pay extra to go in. 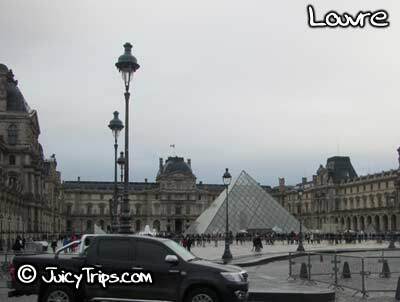 I’ve been to the Louvre long ago , it probably the best museum I’ve been in, but they only gave us and hour and I wanted to go to a French Bakery. So that is where we went. There were no ATMs anywhere though, and I only had British Pounds and needed Euros. So, I have to go to a money exchange place, which is always a rip-off. Anyway we got some really good bakery snacks and had to hurry back to the rest of the group to catch a ride the train station. Two time in Paris is enough for me. I don’t need to go back. The next day we book the “Lunch in the Cotswolds” tour on Viator. This ended up being the best tour. The picked us up in a bus at our hotel. Then took us to a bus terminal to catch a big tour bus. The first stop was at Burford. Which is a very nice little town. I got some great snacks at a bakery and also a chocolate store there. 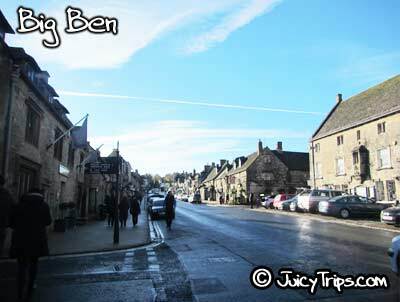 The next stop was Stow-on-the-Wold which is a more touristy town, and also very pretty. After that we went to Bibury. 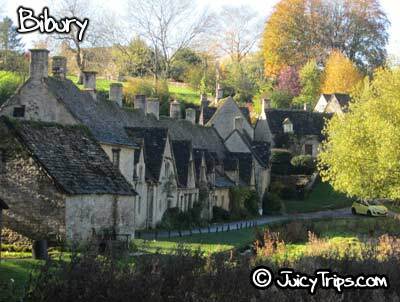 Bibury was the nicest looking town to me. There are no stores or anything. It’s just a residential town where you each lunch at the The Swan Hotel. The Lunch was pretty good, I had the trout. 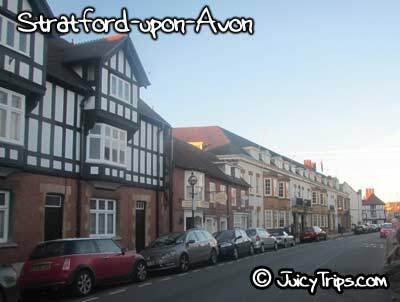 Last you go to Stratford-upon-Avon which is Shakespeare’s Birthplace. The tour at this point turn all about Shakespeare. I’m not into Shakespeare, so I wasn’t really interested, but this town is the biggest we visited that day and I would have liked to stay a full day in this town. Lots to see and eat. When the tour headed back they don’t drop you off at your Hotel. I thought that was weird, but it seems like all London tour companies do that. They drop you off at a Subway station and you get home from taking the subway or taxi. That night we wanted to go to a more inexpensive place to eat. So we found a chicken place called Nando’s. We both just got a small butterflied chicken breast, but the bill was still about $45 with drinks and just 1 order of fries. So, still not worth the price. 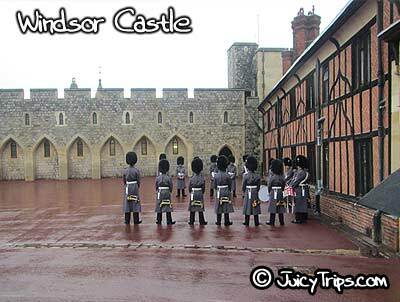 The next day we booked the “Stonehenge, Windsor Castle and Oxford Custom Day Trip” on Viator. Same deal where a van took us to a bus station. Then we had to find our own way home. The other thing is we found out the tour that we paid for shouldn’t be called a tour. It should be called a bus ticket. 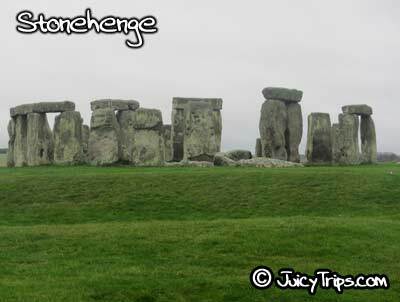 Because we had to pay extra to enter the castle and also extra to get into Stonehenge park. The tour started with Windsor Castle. They give you head phones for an audio tour. It was worth the visit, but not a whole lot to say. You go in and look at the furniture and get to see a nice changing of the guard show. Next we went to Stonehenge. Stonehenge would have been nice if they let you get closer to the rocks. They keep you pretty far away. You stay there just 45 minutes , which was the perfect amount of time. Last we went to Oxford. When I booked the trip I admit I had no idea Oxford was just a college. It is the coolest looking college I ever seen, but that part of the tour was the least interesting out of any art of the trip. Well that sums up my London trip. We left very early in the morning to head back home.